I invited them to pause and reflect for a few seconds before offering a reply. Yet one of them answered straightaway: “In suffering!” I repeated my suggestion. But her husband joined her: “It comes out instantly! We experienced God strongly in our suffering.” At that moment, I realised that I had made a mistake when I had repeated my suggestion for them to pause and reflect. There was no need for it. They were convinced of their truth. This powerful testimony reminded me of the impromptu homily delivered by Pope Francis in Tacloban in the Philippines in January 2015. 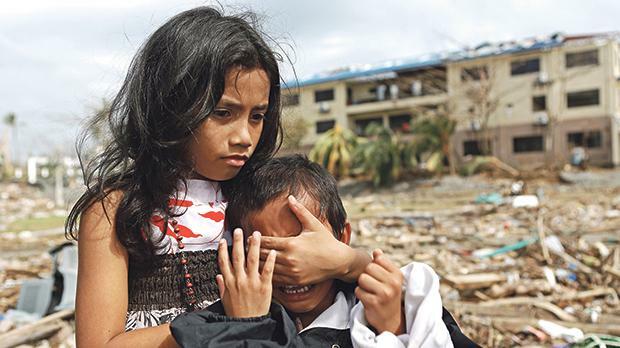 Fourteen months earlier, Typhoon Haiyan had hit the city at full force, destroying everything in its path and leaving around a million homeless and 6,200 dead. This is the Lord who, today, at the end of another liturgical year, we exalt as King of the Universe. More often than not, we expect Him to come into our circumstances with power and might, but His kingdom is, above all, a kingdom of meekness. Indeed, He is so gentle, that at times, particularly in tough moments, we confuse His docile presence with absence. The couple I mentioned earlier and the homily in Tacloban remind us that when we perceive absence or silence on the part of the king, it would do us well to go beyond our limited judgement. They remind us that Jesus always stands by our side, and weeps with us in times of suffering. They remind us that He is the Emmanuel, the God-with-us, whose coming we will all celebrate in a few weeks.